Editor’s Note: The following is the cover story in the December issue of RISMedia’s Real Estate magazine. It’s no secret: The value of the real estate agent is under attack. With a slew of disruptors determined to diminish their role in the real estate transaction, it’s become incumbent upon agents to bolster their value proposition to the consumer with more service, more guidance, more information…whatever it takes to stand apart and make themselves an indispensable advisor in an increasingly competitive and crowded market. That’s where data comes in. 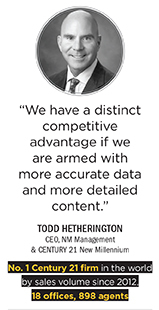 But while consumers seem to have access to all the real estate data they could possibly want these days, there are vast discrepancies in the quality of that data. Every real estate agent out there probably has at least one tale to tell of how an inaccurate home valuation bungled a deal. And that’s exactly what makes HouseCanary a game-changer. Not only has the San Francisco-based firm redefined the practice of home valuation in terms of accuracy—with a median error of 2.5 percent and declining every month as the company’s algorithms process more data—it is helping real estate professionals set themselves apart with the burgeoning power of predictive analytics, elevating them from average real estate agent to invaluable financial advisor. By leveraging 40 years of U.S. home sales and a billion transactions to predict the direction of virtually every metro, zip code and block in the United States, HouseCanary can provide agents with branded, property-specific reports that depict how their client’s home value has increased, where the value of the home is headed, and which improvements will have the biggest impact on that value. Now, instead of the typical listing presentation, agents can explain—in precise detail—the “why” behind a home’s current and future value. Co-founded by CEO Jeremy Sicklick and Chief of Research Chris Stroud in 2014 to help investors and lenders make better real estate decisions, HouseCanary created one of the most accurate forecasting models in the industry, then packaged it into easy-to-use software solutions for appraisers, brokers, investors and lenders, including Wall Street investors like Blackstone and the nation’s top three mortgage lenders; $64 million in venture capital funding from the likes of Eric Schmidt, chairman of Google parent Alphabet, former Commerce Secretary Penny Pritzker, and top venture capital firms helped solidify HouseCanary’s status as the real deal. 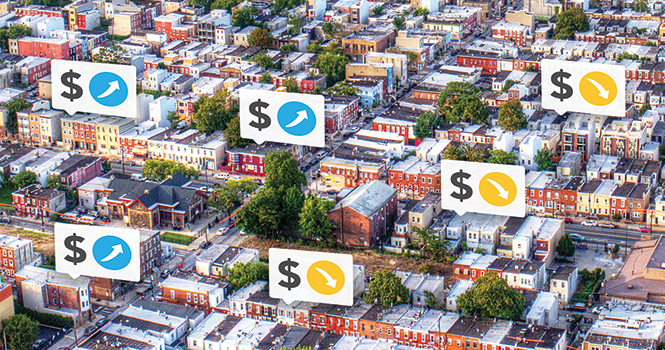 In 2016, HouseCanary made that same data available to real estate professionals—now, that same information lenders had been using to decide whether or not to extend a loan, could also be accessed by a real estate agent working on the front lines with the consumer. Imagine being able to sit down with clients and walk them through the exact financials of why they should make a particular offer—an offer based on real data and real numbers. Interactions like this cast the real estate agent in a whole new light. What really sets HouseCanary apart in the world of big data is its unprecedented approach to accuracy. 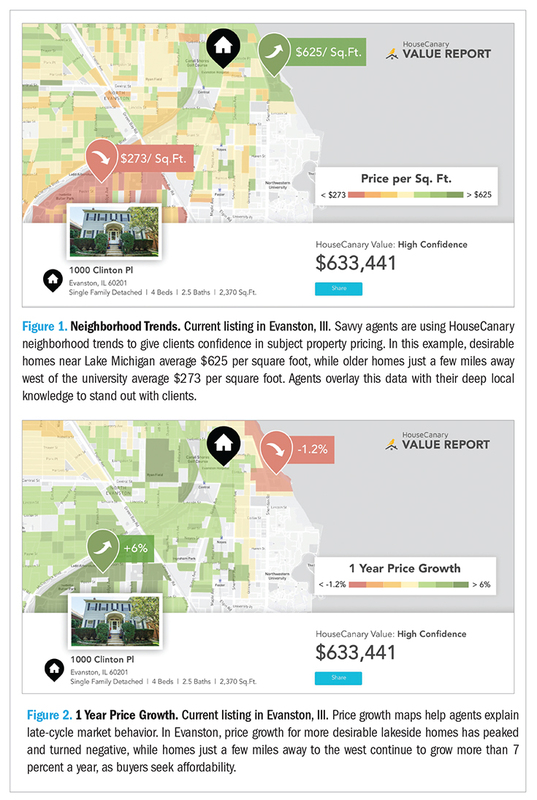 HouseCanary’s platform leverages machine learning models that draw upon the most robust real estate database, and correlates those with mortgage markets, jobs, population shifts and an amazing array of local, block-level data to be able to predict the direction of every metro, zip code and block in the United States, analyzed and visualized in real-time for better, faster decision-making. A member of the National Association of REALTORS®’ s 2017 REach® technology accelerator program, HouseCanary is representative of the evolution of how residential real estate is appraised, valued, purchased and sold. Using its software solutions, agents can quickly pull up complete and accurate home valuations and analytics and price per square foot for all nearby comparables, as well as three-year price growth for all homes near the listed property. Going well beyond the standard CMA, HouseCanary’s Value Report puts powerful information into agents’ hands, allowing them to truly differentiate themselves from the competition and validate their value to consumers. HouseCanary has also begun to integrate with leading CRMs, with more to be rolled out shortly, enabling agents to put data to work as an ongoing engagement tool. And for real estate consumers, the value of their investment is the most essential piece of information in the decision-making process. But the issue to-date has been inaccurate home valuations. HouseCanary is out to change the game in that regard. 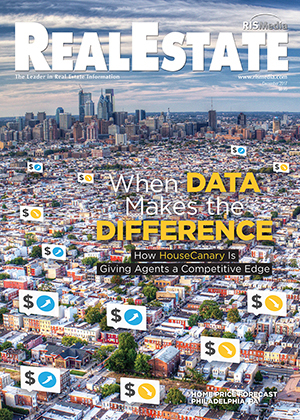 As all real estate professionals know, no matter how much data one has, no two homes are alike. An endless number of factors affect a home’s value, from high walkability to being on the right side of the highway to having a wooded backyard. Yet traditional valuation models fail to take these details into account. HouseCanary, however, takes valuation a huge step further by empowering agents with data on how a remodeling project will impact the value of a home. Will adding another bathroom increase my home’s value in two years? Is putting in a pool a bad idea? This is how HouseCanary is further maximizing the power of predictive analytics for real estate professionals. 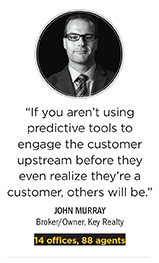 “At some point, if you aren’t using predictive tools to engage the customer upstream before they even realize they’re a customer, others will be, and they’re going to be working with the customer before you,” said Key Realty Broker/Owner John Murray during RISMedia’s recent Power Broker Forum at the REALTORS® Conference & Expo in Chicago. As technology and data continue to develop at an exponential pace, HouseCanary’s trajectory stands to rise quickly—as do the benefits for real estate professionals and the consumers they serve. 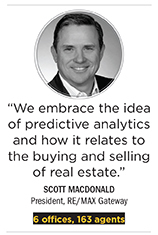 For real estate professionals, it’s important to continue to look toward partners who can show them how to work with advancements in data and predictive analytics instead of trying to fight against the tides of change.